Works as Psychological Therapist at First Psychology Centre, Edinburgh. 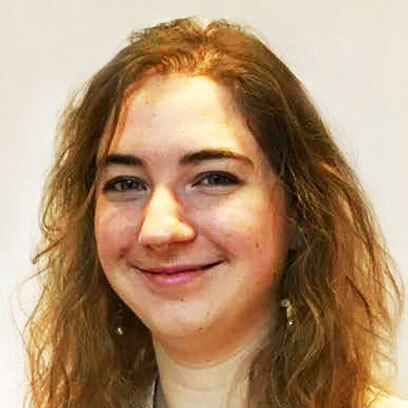 Abigail Pelik is an experienced psychological therapist who works with adults with a wide range of issues and problems. These include: depression / low mood; anxiety (general anxiety disorder (GAD), health anxiety, social anxiety); stress; grief; abuse; body image issues; bullying; gender / sexual identity issues; exam stress; trauma; risk taking behaviours; self-harm; thought process isssues (worry and rumination, perfectionism, need for control, intrusive thoughts), relationship issues, and many more issues. Abigail has particular experience working with adults with depression and health-related issues such as chronic pain, physical disability, disruptive health symptoms, issues surrounding prognosis, etc and with people dealing with end of life issues and grief. Psychodynamic theory and practice form the core of Abigail's approach to therapy as she believes that exploring the past and bringing to consciousness what is unconcious are important tools in understanding the present and gaining insight into our lives and choices. She uses the psychodynamic approach in combination with other therapies including counselling, psychotherapy, cognitive-behaviour therapy (CBT), and elements of narrative therapy and will work from what the client brings to the process, keeping them at the focus of her work and adapting her practice as much as possible to fit with each individual's needs and preferences. Abigail is fluent in French and is happy to work in this language if clients wish. Abigail is registered as a practitioner in France (ADELI directory) and has undertaken training accredited by the French government as giving right to practice and use a professional title. She is a senior associate member of APPCIOS (The Association for Psychodynamic Practice and Counselling in Organisational Settings) and a British Psychoanalytic Council (BPC) trainee. She has graduate basis for chartered membership with the British Psychological Society (BPS). In addition, she is an accredited member (MNCS accred.) of the National Counselling Society, whose code of ethics she works under in addition to that of the BPC. Abigail trained and qualified as a psychologist / psychotherapist in France and worked in a palliative care unit offering counselling and psychotherapy sessions to patients and their friends and family as well as support to the staff. Prior to that she worked in a maternity unit and surgical gynaecology ward as well as with children (individually and in groups) within a community setting. She also has volunteer experience in both the UK and France. In the UK she worked in a listening capacity for a mental health helpline, and in France she offered emotional support to people in an A&E department. Abigail charges £75 a session for self-funding clients (concessions available). She also works with clients referred via their employer/organisation – for further details, please visit First Psychology Assistance.